The fitness...The only way to attain the Summit is to go towards it. This process provides a crescendo of challenges and rewards that build slowly by taking ground on the mountain one step at a time. Great challenges often provide robust rewards and this has never been more accurate when describing an attempt on a mountain summit. We know an understand that reaching the summit of your fitness goals can be overwhelming and maybe even seem completely beyond your abilities. Is it 5 pounds you just can't get rid of? Or is it 105 pounds? Adding 25 pounds of muscle or maybe even a 5k or even a 50k? Just feeling better or getting out of slump may seem unattainable. Our goal is to strategically take you to your goals through nutritional planning, exercise programs, one on one training, and group classes offered on site at our facility or at your location of choice. Our spa...Take time to slow down, reflect, and unplug from daily distractions that monopolize so much of our time. The spa at Summit Spa and Fitness is a refuge that offers you a chance to take a break, pamper yourself, and just recharge. We offer all aspects of a high end luxury spa. There is clear symmetry that exists between both the spa and fitness side of what we do. 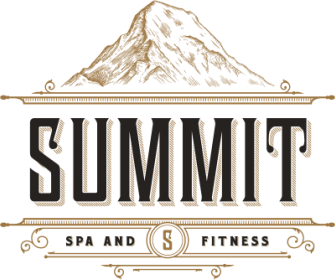 We hope you find Summit Spa and Fitness to be a place of exemplary service that exceeds your expectations in everything we do. This is our distinct goal and core of all services that we offer.